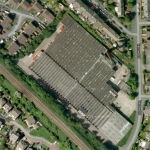 We will shortly have available a 5,000 sqft industrial unit to let complete with large office area on the popular Yarrow Business Centre in Chorley. The unit benefits from its own toilets and kitchen facility, electric operated roller shutter door and direct access. 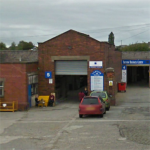 Rent for this unit is £15,900 per annum + VAT. This unit is available for occupation from mid October. If this unit is of interest to you, then please do not hesitate to contact us. We are delighted to announce that we now have an 11,000 sqft industrial unit to let on the popular Yarrow Business Centre in Chorley. The unit benefits from large rollershutter and personnel access, dedicated W/C facilities and large open workspace. The unit offers great value manufacturing setup for a small business – and won’t stay empty for long. For more information or to view the unit, please do not hesitate to contact us.